Students need to complete the Pre-Learners Licence (RE L) course to be eligible to get a Motorcycle Learners Licence (RE L) in Queensland. This course is also suitable for students without any riding experience that obtained their Learner (RE L) licence prior to October 2016. ON completion of our PRE Learner course you will receive a $50 voucher for you to use when upgrading to our RESTRICTED (RE) licence. Day 1 and Day 2 can be split, as long Day 2 is completed within 30 days of Day 1. I had an absolute amazing 2 days for the Pre Learner course at Raceview with Doug I had never riden a bike before and was extremely nervous Doug was very informative , passionate and knowledgeable and made learning very fun and relaxed !!! He even calmed me down when I was having a bit of a freak out ,took time to explain everything in detail, slowly and without pressure or annoyance and made me feel at ease. Highly recommended – Can’t wait to sit my RE test with you guys in a few months. Just (successfully) completed my 2 day PRE-LEARNER Course with ‘Instructor Steve’ Steven White at Runcorn. Steve’s methods were clear and concise and he didn’t for a second make me feel incapable of tasks I struggled with. Quite possibly one of the most patient teachers I have had the pleasure of training under, in any course! From dealing with Marnie in my initial enquiries to achieving Competency with Steve, I could not recommend these guys more highly! The Pre-Learner Licence (L) course is for people who want to gain their motorcycle learners licence in Queensland. A class RE learner licence. An interstate or foreign motorcycle learner licence and have held the licence for at least three months. A foreign motorcycle licence equivalent to a class RE or class R provisional or open licence. A licence with an ‘RD’ condition, and a Returning Driver Certificate stating you can learn to ride a motorcycle. Merging different techniques of learning: including theory, demonstration and coaching all whilst the students continue to enjoy practising the exercises. After successfully completing both day 1 and day 2 of this course and once you are deemed competent you declaration will be processed online. You are then able to complete your Learners Licence by passing a theory test online or at the Department of Transport. Once you pass the written test you will get the RE Learners permit, you will now need to wait 3 months. 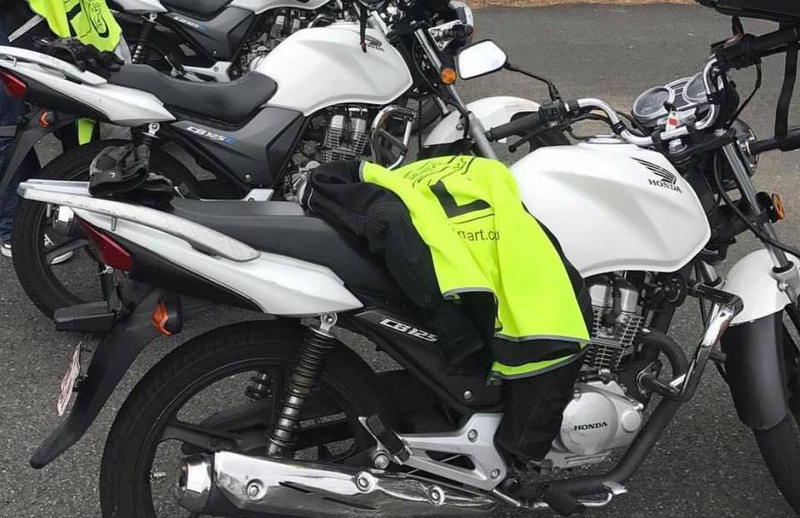 After 3 months wait you can book into the RE QRIDE test to obtain your first licence for motorcycle. If you do not own a bike or have a supervisor to give you lessons within the 3 months waiting period, we can offer training options. *Motorcycle hire and protective gear (jacket, gloves and helmet) is included.